Momordica charantia, known as bitter melon, bitter gourd, bitter squash, or balsam-pear belongs to cucurbitaceae family. Its pods are rich sources of phytonutrients like polypeptide –p and charantin, dietary fiber, minerals, folates, vitamins and anti-oxidants. Momordica charantia Linn(Karela) commonly known as Bitter melon or Bitter gourd is widely grown as an edible fruit, which is among the most bitter of all fruits. 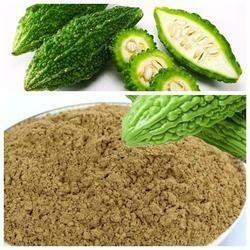 We are leading supplier and exporter of Freeze Dried Bitter Gourd (Bitter Melon) Powder. - Bitter melon (Karela) is a blood purifier, activates spleen and liver. Add in food preparation to enhance the nutritional value. 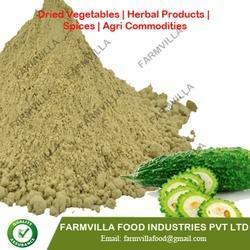 Our company is instrumental in offering a wide range of premium quality Spray Dried Bitter Melon Powderluable customers. Processed in compliance with the FDA standards.